Your business needs to be online on a regular basis. You need to be able to work confidently and securely in your office on all the emails and messages and other general website administration, and then you need to make sure the website that serves up the biggest portion of your current profits is always online and available for any customer that comes across it. And that’s a huge task to try and undertake, especially if you’re working out of your home, or as a brand new established business that has little to fall back on. And because of all that, you need to know your business is safe whenever you take it online. Thankfully, in the modern day and age, there’s as many preventative measures as there are threats, and it might be worth your time right now to look into a few of them. So, here’s just some of the best to think about. If you’ve got a business to run, and you’re all new to the idea of being the boss, you’ve probably already got a bunch of responsibilities stacked up against you. However, there might be one more you need to add to your list – keeping an eye on your computer’s security system, and never letting it stray. Make it a regular occurence to do a scan of your system, either manually, or via the software you use to keep your system safe when you’re online. Make sure you have a full scan done as well, as simple and quick scans rarely make the mark anymore – make sure any temporary files on your computer are deleted (viruses are most commonly stored in these, and you might be able to do away with a problem before it even becomes one), run regular updates on the antivirus or anti-malware you have installed, and be sure to check the Internet for advice articles like this, to make sure you’re not missing any of the crucial parts of your PC in your attempt to complete a scan. But just how often should a task like this be run through your office? Maybe once a month, maybe once a week if you’re truly worried. Passwords are often considered the be all, end all of PC protection, simply because without a password, no one can get past a login screen. But you need to have a good password, and you need to have a unique password, and sometimes it’s impossible to remember all the ones you have on the go. And if you like writing all your passwords down, to make sure you’ve got an easy point of reference, literally anyone could get a hold of the information vital to accessing all your business files and administration. So instead of writing these sequences down in a book, and leaving it in the office and not even locked away, be sure to use a password manager instead. Password managers are numerous, so you can take your pick of the software you trust the most – password managers exist as browser extensions, and store all of your credentials for logging into a site if that site flags as somewhere secure. It’s simple yet effective! Not to mention, most password managers out there will help you to change your passwords as well, if the algorithm discovers a potentially weak password you’re using. There’s even a couple of applications that will automate this process, and change any weaker or duplicated passwords you’re using without needing input from you. Don’t worry, the app will make you aware of this when it happens. Public access is something a lot of businesses offer. People who come into a store can now expect to have a free wifi option as they browse. And if you’ve got a hospitality business, having a free wifi available for people to log onto whilst waiting for food guarantees a good review will be left for other customers to see. But that means there’s a lot of potential intrusions, and lots of different ports for those intrusions to come from. Your customers could be at risk from a hacker, you could be at risk from a hacker, and leaving your wifi unrestricted and unmonitored will never work out in your favour. So that means it’ll be in your best interest into looking to create a far more secure channel. A lot of companies like to password protect their public wifi, and only customers who buy something are given the code to get in. Some companies require people to register an account with names and dates of birth, to help verify the other people behind the screen, before any internet access is allowed. But if you and your customers share the same wifi, and you have no plans to change this in the near future, it’s time to look into installing a VPN. The more on the go your business is, the more likely you’ll be needing a VPN in your work life, so make sure this is a method you look into right now. Thankfully, there’s even a vpn free option out there, meaning business’ on budgets are allowed to access this kind of secure software as well. A VPN allows you to create a channel no one else can see whilst you browse the web, and most of the time, you’ll be using a completely different network as well. It’s a great way to deter hackers, and means any private information about your business will be shared over a connection that only you and you alone are using, not to mention, this info won’t be available in the digital cloud after you log off. One of the best preventative measures against hacking and phishing out there is to know exactly what a virus could do to your computer, and what signs you should be on the lookout for. When you understand these symptoms, you can immediately pinpoint them, and then go on to do something about an intrusion as soon as it happens, instead of letting one linger with you scratching your head over your failing PC in the background. One of the biggest warning signs to be on the lookout for is your computer slowing in its functions. If your PC was perfectly fast before, and there’s been a slow but sure change in its speed, there’s a good chance you’re infected. Similarly, if your computer has begun to crash a lot, it could be a technical hitch with incompatible programs, or you might be in need of running a bit of anti-malware. Or maybe you’ve noticed a lot of traffic on your Internet browser, even though you’re not connected and have only just logged on – it may be a background application or two that connect to the internet automatically, or it may be malware that’s using up your connection for you. 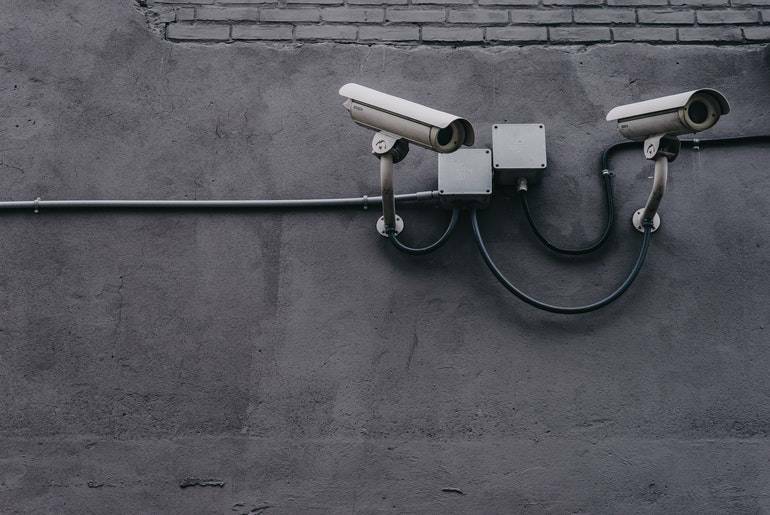 Your business should be secure without worry when online, so make sure you’ve got preventative measures like these employed in the office. It’s only a matter of time before a hacker attempts to get through, so always try to be ready for an intrusion attempt to happen.